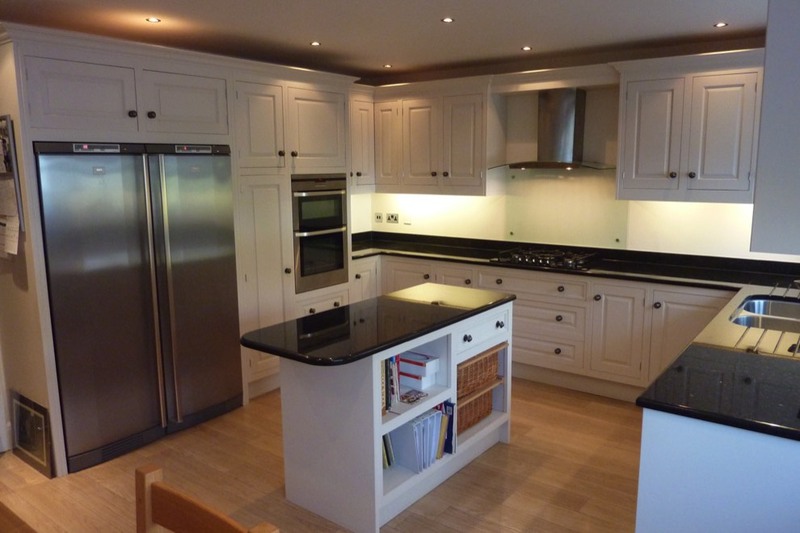 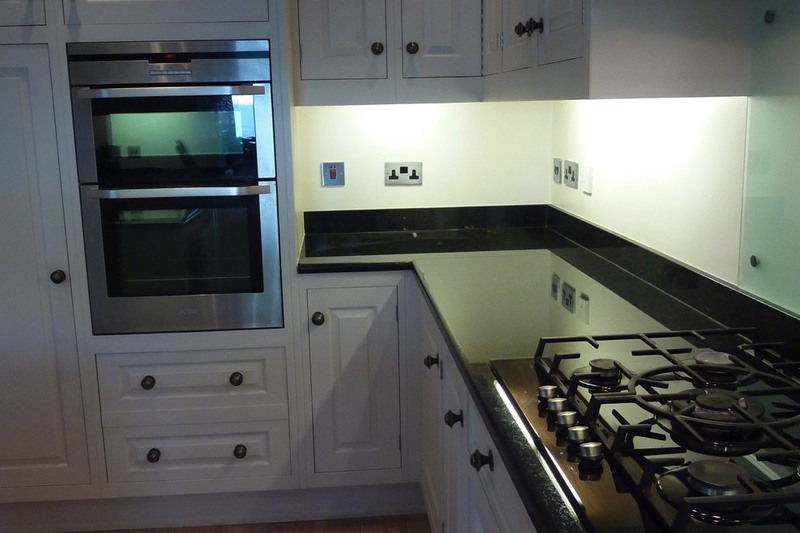 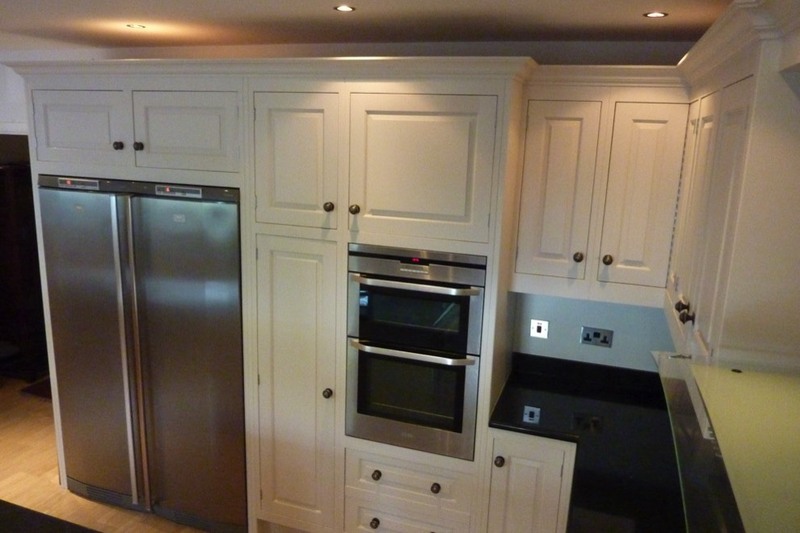 This newly built property in Hampton Middlesex has a square in frame kitchen with a raised field door and pewter knobs installed and hand painted by Teddington kitchens. 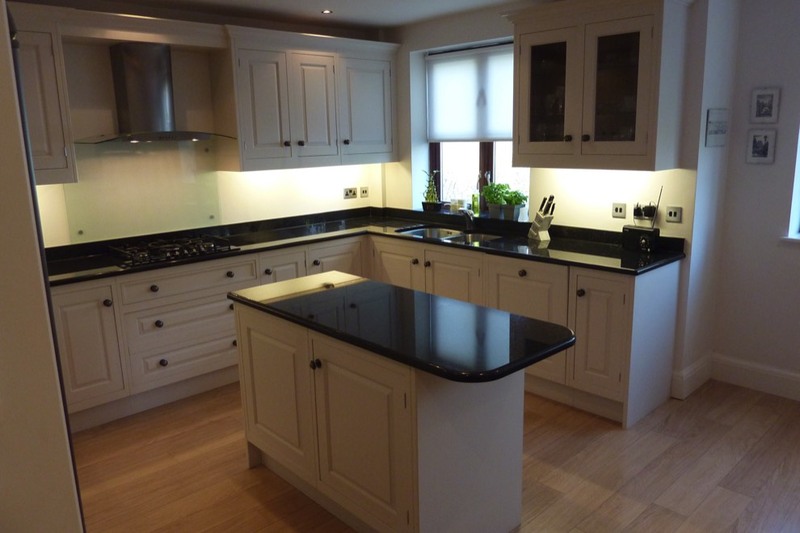 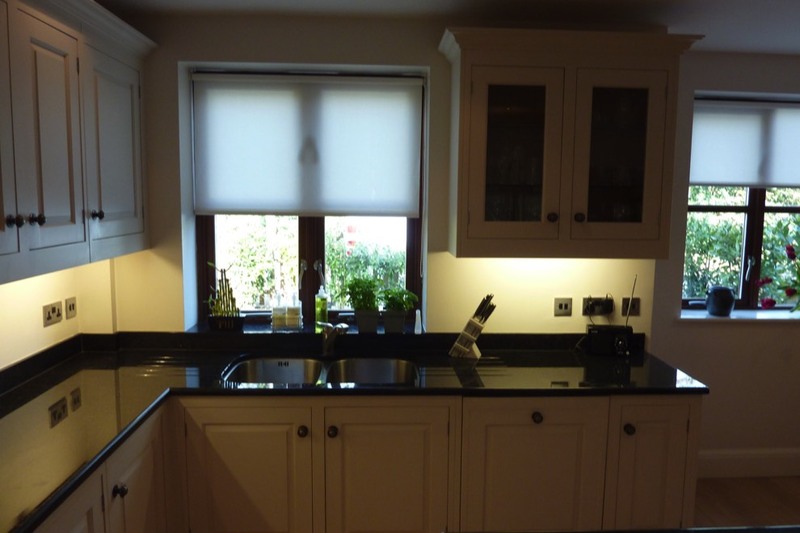 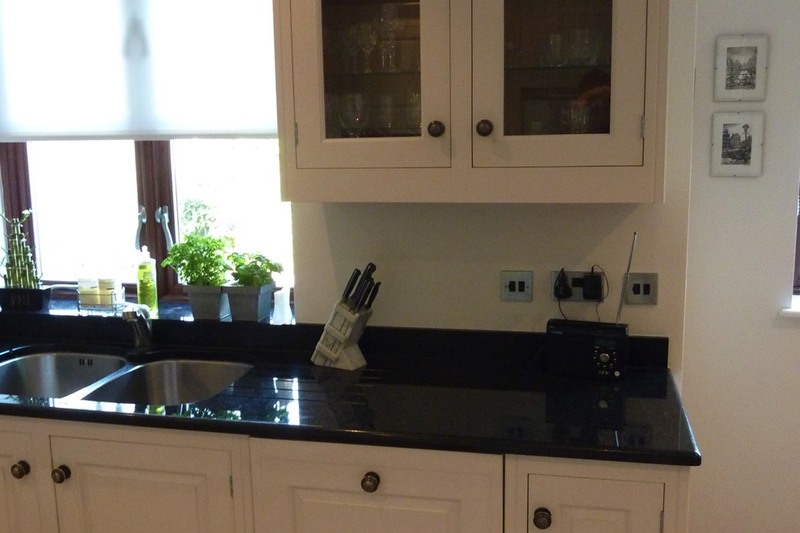 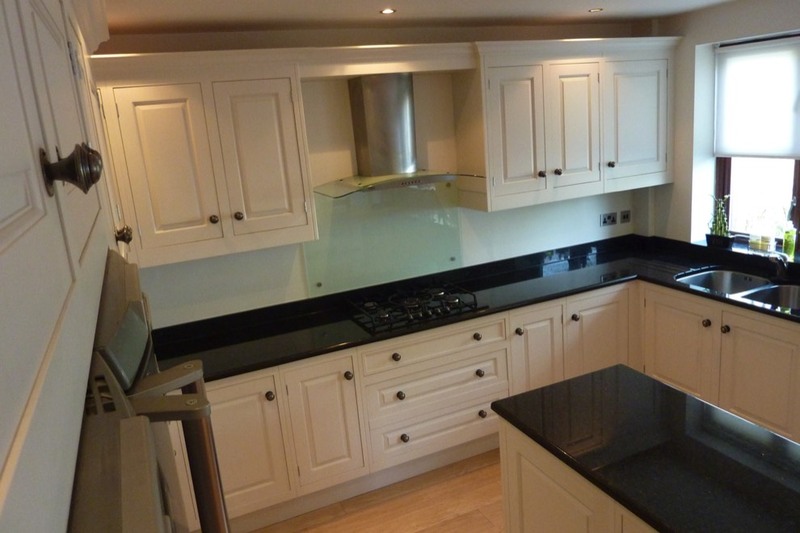 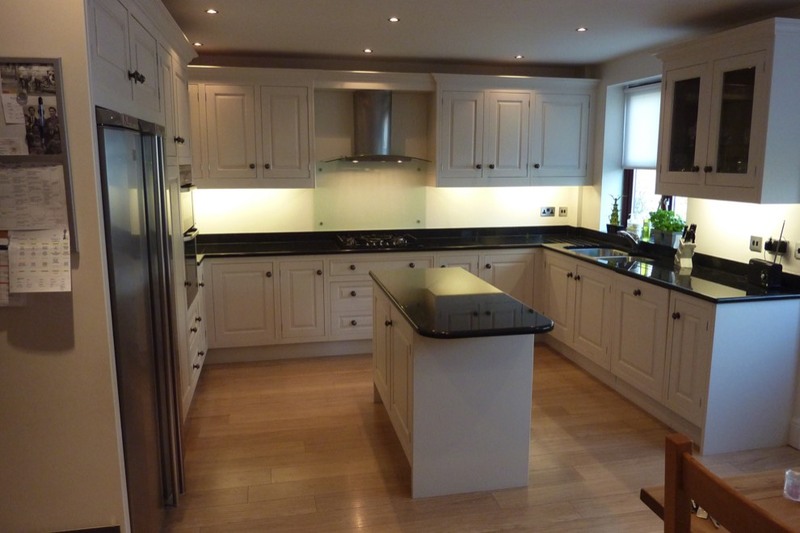 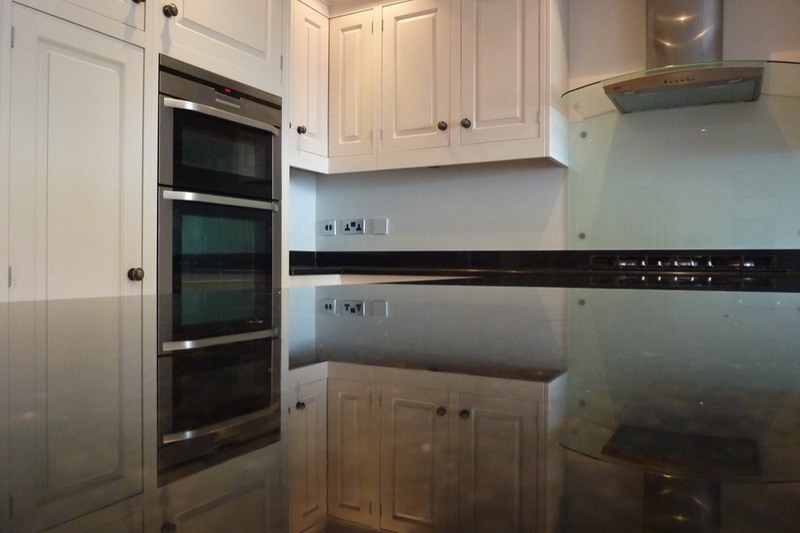 The worktops are Ubatuba granite with a bull nose profile to the front edges. 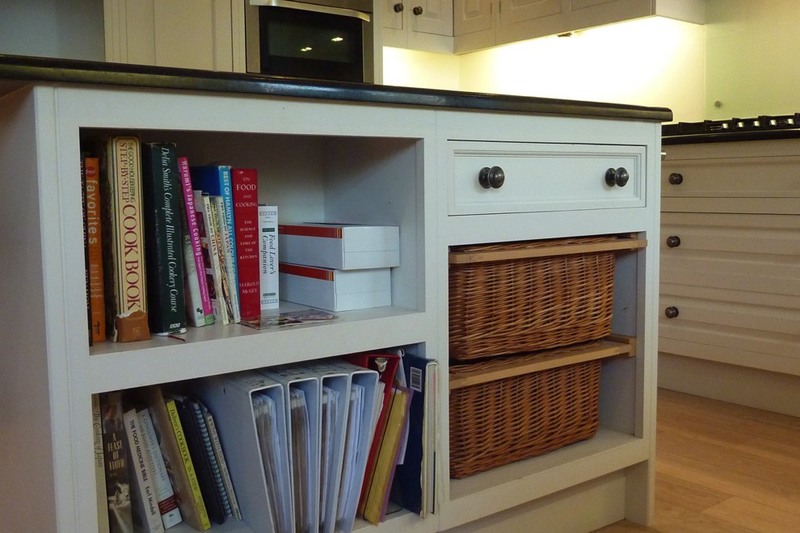 There is a flyover shelf above the extractor to allow ducting to be run to the outside wall without being visible.